Comments have been made – to which you yourself have been alluding to for some time – that technology is replacing jobs at such a rapid rate, unemployment will be a major issue in the very near future. However, these commentators conclude that this proves that capitalism has failed. Obviously, since capitalism has been interfered with for decades, it can’t have failed since it has not been allowed to be practiced unfettered. Thank you in advance for any insight you can provide on this very critical issue. 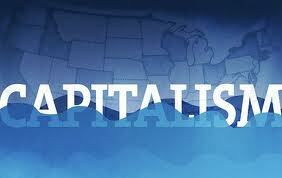 ANSWER: People who claim that capitalism has failed are seriously burdened with propaganda. Capitalism is freedom, and socialism is effectively the lack of freedom. True, we have done nothing but interfere with the economy since the theories of Marx and Keynes were adopted. Yet, Paul Volcker admitted that this “New Economics” has failed. This whole theory was based on the idea that government could manipulate society to produce utopia, but they have never been able to achieve that. Larry Summers has admitted that publicly, but the socialists do not listen because they want to rob their neighbors. Innovation comes in waves and technological advancements always displace jobs. The problem has been that people do not improve their worth, yet they demand pay hikes just because they want more money. If you go to Miami, the number one language is Spanish. They want to raise the minimum wage to $15 instead of encouraging people to learn English to broaden their worth. Anyone who has computer skills starts at $15+. So why should people without employable skills earn the same as a person with technology skills? I had a friend who was a pilot during the Korean War. He told me that many of the old pilots could not make the transition when the new jets came in because they were unable to respond as quickly to the increased speed. Every field moves through the same advancement curve. Unions attempt to freeze skills by demanding more money rather than teaching people to adapt and move with the cycle. The system will always correct itself as it has done throughout history, long before Marx/Keynes. It is always subject to the business cycle, which is influenced by many factors including weather. Capitalism began with the Black Death. Before then, it was a highly socialistic world or serfs. You worked the land and kept 20% of the food in return for a house to live in, and you could run into the castle when danger came. The Black Death killed about 50% of the workforce and the scarcity of labor resulted in landlords being willing to pay wages. The shortage of labor gave birth to capitalism. So, there will always be cycles to the economy. Romans invented corporations. They bought and sold shares in the marketplace, and that freedom of capital created Rome (not centralized planning). The system has always been self-correcting. Technology will advance, which will displace jobs and cause unemployment to rise. In turn, corporate profits will be brought down and war will typically emerge to thin the herd. Eventually, the next generation becomes better equipped to ride the next wave of innovation.